Rep. Adam Schiff (D-California) has said he would support the nomination of James Mattis, a retired U.S. Marine Corps general, as secretary of the Defense Department through a congressional waiver, the Christian Science Monitor reported Tuesday. Anna Mulrine Grobe writes Congress would need to pass a waiver in order for Mattis, who has not been on active duty for less than seven years, to assume the civilian post at DoD. 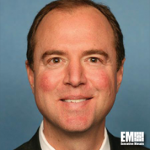 “What may tip the balance for me is if the president-elect populates even more positions with former military,” said Schiff, a ranking minority member on the House Intelligence Committee. “I think if he starts making these other nominations other than Mattis, it’s going to place the Mattis waiver in jeopardy, at least as far as the Democrats are concerned,” he added, according to the report. 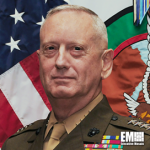 President-elect Donald Trump announced his plan to appoint Mattis as DoD secretary during a post-election rally Thursday in Cincinnati. Tags Adam Schiff congressional waiver Defense Department DoD Donald Trump executive move featured govcon James Mattis U.S. Marine Corps.